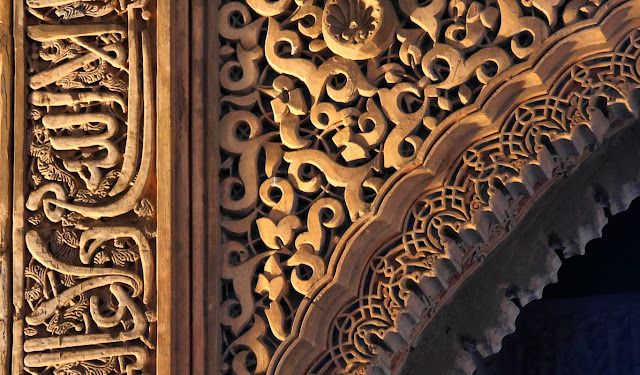 Alhambra in Granada, Spain was the capitol for the Moors that ruled the Andalucia for 800 years. 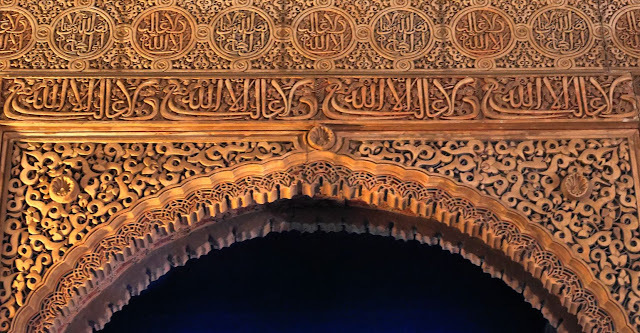 Reapeted countless times on the walls is the text: "There is no victor but Allah". The motto of Nazrid dynasti. Researchers built upon studies begun 500 years ago by the conquerors of the Nazrid dynasty, who ruled the kingdom of Al Andalus and created this fabulous pile. The Catholic monarchs Ferdinand and Isabella ruthlessly purged Muslims from Spain after 1492, but they were sufficiently curious about their vanquished enemy's heritage, or impressed by the Alhambra's unique beauty, to order specialist translators to study the inscriptions that cover every nook and cranny.